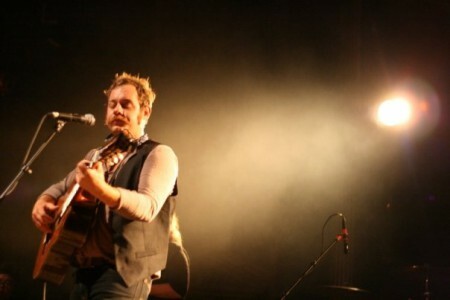 Denver musician Nathaniel Rateliff (formerly of the well-loved Born In The Flood) and his band The Wheel have completed their debut record In Memory of Loss on Rounder, under the production hand of Brian Deck (Modest Mouse, Josh Ritter). It’s exciting for me to see these friends getting some of the attention that I’ve long thought they deserved. I’ve seen ‘em play in little clubs and on patios and at our hectic festivals, and Nathaniel’s voice always commands people stop, and listen, and feel what he is singing. Hear the full new version of “Early Spring Till” over on the Vanity Fair profile, and download it for free on Nathaniel’s website. Vanity Fair? Holy crap, go go Denver music! The Vanity Fair piece says, “his tenor voice and gospel-inspired harmonies are fit only for a silent cathedral.” My own version of this cathedral they envision would be when I saw The Wheel on the Meadowlark patio late last summer, and underneath the canopy of twinkling lights in the late August evening they levied a heavy, reverent silence over the normally talkative hipster crowd. Everyone –everyone– was listening then, and now, you’ll soon have a chance too. These songs are now so much more fleshed out and filled in, but still leave a space for Nathaniel’s distinctive voice to reverberate. “Early Spring Till” is much changed, but still with that soaring chorus that always makes my day feel a little more bearable. Are you tired? Do you feel wrung out? Have you fallen from where glory sprouts? At least Nathaniel understands. In Memory of Loss is out April 27th on Rounder Records. Nathaniel is playing several SXSW shows next week (next week!! 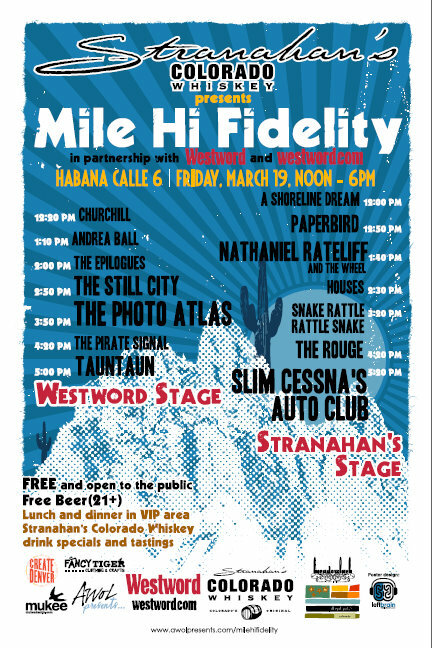 ), including our Mile-Hi Fidelity Party party this year. Nathaniel Rateliff & The Wheel are playing along with Houses, Snake Rattle Rattle Snake, Pirate Signal, TAUNTAUN — all some of my favorite Denver bands. You should absolutely come. Discovered The Wheel here sometime last year and I’ve loved everything I’ve heard so far. Loving the track and looking forward to the new album! Thanks for this, Heather! I wish The Wheel were playing with the Low Anthem in Des Moines. What a treat to hear them open with the Avett Bros. in Columbia earlier this month! Will definitely have to check this show out.